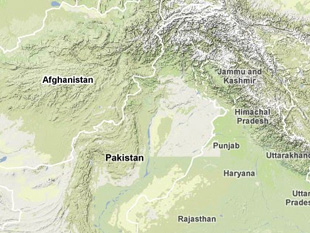  “Kamra – Pakistan Special Weapons Facilities,” Globalsecurity.org, accessed 3 February 2011. Doug Richardson, “Pakistan tests Hatf 8 air-launched cruise missile,” Jane’s Missiles and Rockets, 1 September 2007; “Pakistan missile test,” The Advertiser, 9 May 2008, p. 38 in LexisNexis Academic Universe, www.lexisnexis.com. Doug Richardson, “Pakistan tests Hatf 8 air-launched cruise missile,” Jane’s Missiles and Rockets, 1 September 2007.